Amy loves it. Natalie hates it. Who's right? Amy thinks the film Love Actually represents everything good about the human experience of love. Natalie believes it's unrealistic and manipulative crap. These two long-time creative collaborators are staking their friendship on the ultimate test -- an audience vote. 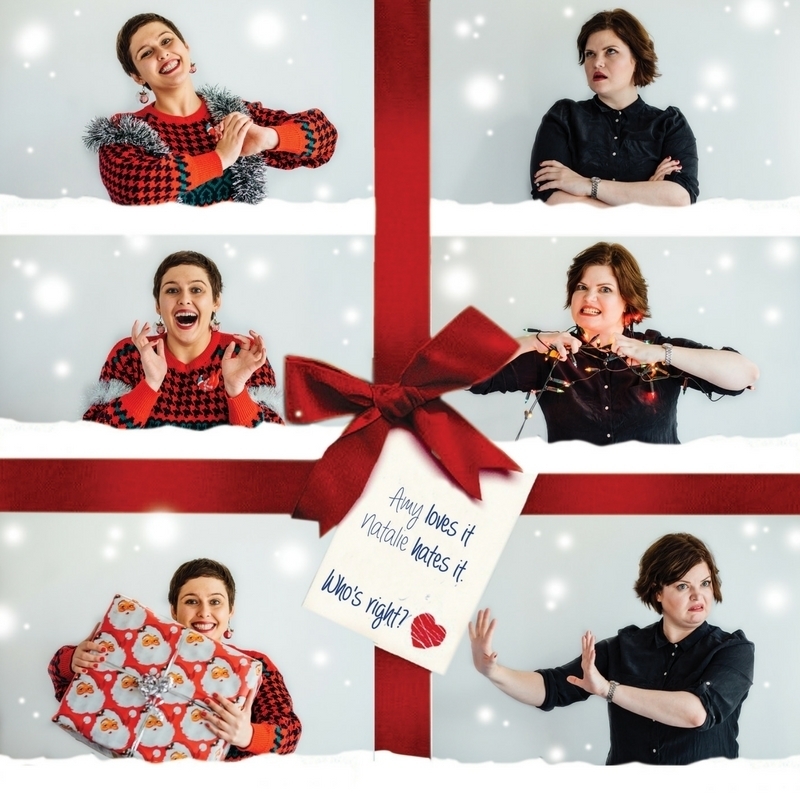 Part double act, part film lecture, part game show, this show will see you decide whether Love Actually is the ultimate rom-com... or ultimately terrible. Act/React is a Brisbane-based company specialising in comedy and giving the audience a good time. Their large-scale immersive parodies "Speed: The Movie, The Play" and "Titanic: The Movie, the Play" were the smash hits of the 2015 and 2016 Brisbane Comedy Festivals. Act/React presented "Speed: The Movie, The Play" at Perth FRINGE WORLD in 2017 to sold out crowds. Other works the group has staged include the improvised shonky psychic "The Great Grandiosa" (Wonderland Festival, 2015) the "Convince Me! Debates" (Brisbane Comedy Festival, 2017) and the improvised French farce "Let Them Eat Cake" (Anywhere Theatre Festival, 2017). "Love/Hate Actually" debuted at the Wonderland Festival in 2017.